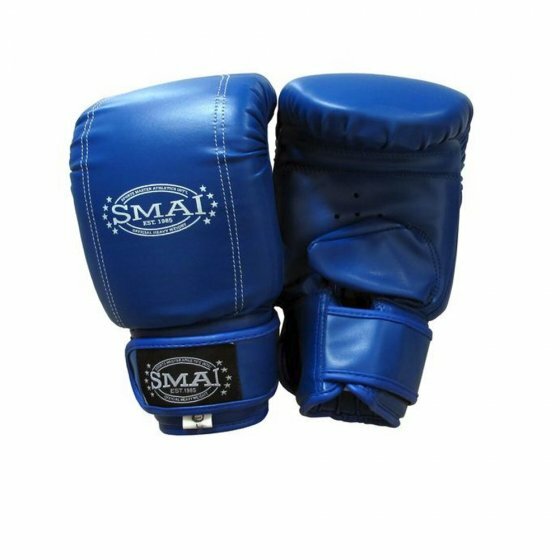 SMAI’s PU Velcro Bag mitt are slip on, curved with elastic wrist are made specifically to cater for everyday heavy bag training, but can also be used by starting or intermediate training. Multi-layer foam inner to adequately pad the knuckles and provide excellent shock absorption. Wrap around wrist closure ensures a firm and secure fit for all types of bag/pad work.